Many people keep hand sanitizer in their homes, cars, briefcases, etc. to protect themselves from being exposed to potentially harmful bacteria. The product is designed to be applied topically, and is safe when used as directed. However, ingesting the product either accidentally or on purpose can be dangerous. Parents should only allow their children to use hand sanitizer under adult supervision, and are well-advised to keep the product out of youngsters' reach at all times. This guideline applies not just to hand sanitizer, but to all products that can be harmful when swallowed or absorbed. Dangers of Ingesting Hand Sanitizer? It is dangerous to ingest any household products that are not intended for human consumption. The specific issue with hand sanitizer poisoning lies with the fact that the primary ingredient in most hand sanitizers is ethyl alcohol. Alcohol-based hand sanitizers have a very high concentration of alcohol. Hard liquor actually contains a lower percentage of alcohol than hand sanitizer. Typically, hand sanitizers contain a concentration 60 percent ethyl alcohol, or even more. A 90 proof bottle of bourbon, for example, has only 45 percent alcohol. A child who consumes even a small amount of hand sanitizer is likely to become intoxicated, and can be at serious risk of alcohol poisoning. Fortunately, hand sanitizer does not have a pleasant flavor, and most people are not likely to ingest enough of the product to lead to fatal hand sanitizer poisoning. However, even a few ounces can in fact be fatal to small children and to individuals of any age who are particularly sensitive to alcohol. There have been reported cases of children requiring hospitalization for alcohol poisoning following ingestion of hand sanitizer. Why Would Anyone Drink Hand Sanitizer? Curiosity causes people to do strange things. Kids will, in fact, put just about anything in their mouths at least one time. When it comes to ingesting dangerous substances, one time can be one time too many. That is why supervision is so important any time that children are exposed to any type of substance that poses a danger when consumed. Of course, kids aren't the only ones who might ingest hand sanitizer. There have been incidents reported of adult prisoners ingesting hand sanitizer for the purpose of getting intoxicated. 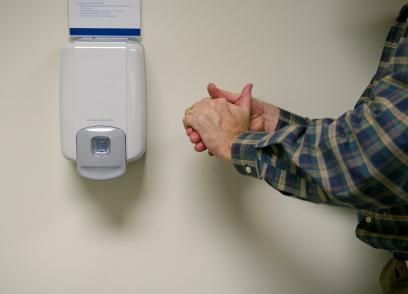 Do not lose sight of the fact that hand sanitizers are safe when used as directed. However, remember that the best way to prevent the spread of germs is by washing your hands. Many generations of children grew into healthy adults before hand sanitizer became popular. Many common household products can cause alcohol poisoning if ingested. It is likely that you have a significant number of products in your house that are risky if used inappropriately. Any potentially dangerous products must be stored properly and kept where children cannot access them for unsupervised usage. The decision as to whether or not to keep hand sanitizer in your home is a personal one. If you cannot keep this product out of reach of the children in your home and you are unable to supervise its use, you probably shouldn't have it. There may be other substances you need to remove from your home as well. While some schools still include hand sanitizer on school supply lists, many others have banned the product from campus. Some school administrators feel that allowing alcohol-based sanitizers on school grounds is a violation of the zero tolerance drug and policy. Teach children proper hand washing techniques. Help children develop the habit of washing their hands frequently. Clean and disinfect items that children take back and forth to school regularly to reduce the chance of exposure to germs. Clean Well hand sanitizer is alcohol-free, instead containing a non-toxic formulation of natural essential plant oils. Any time you think someone has been poisoned, whether by hand sanitizer or any other substance or occurrence, time is of the essence. Call 911 immediately to request medical help. As soon as you have requested on-site medical assistance, call the American Association of Poison Control Centers. Simply call (800) 222-1222, and your call will be routed to the Poison Center closest to you. A poison control professional will provide free assistance. It probably isn't possible to remove every item from your home that could possibly cause harm when used inappropriately. There are many advantages to properly using hand sanitizer, just as there are drawbacks associated with improper usage. The best way to protect yourself and your family is to educate yourself about the risks associated with different types of products, and learn how to use them safely if you are going to use them at all.